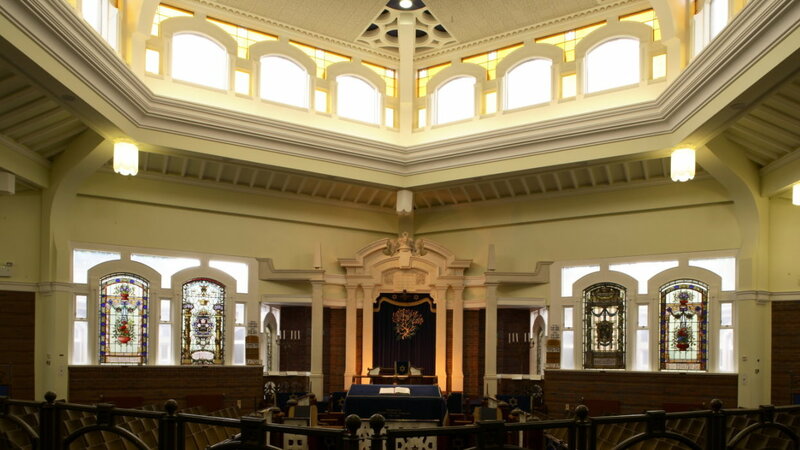 The Shadwell Lane Synagogue, described by the then Chief Rabbi Immanuel Jakobovitz as ‘one of the finest in the world’ was the result of an RIBA sponsored open architectural competition to provide a new building which would unite the congregation of the then existing four Leeds Synagogues in to one new single place of worship. Built also for social and educational purposes, the structure retains the very best of the significant artistry which graced the four previously occupied places of worship. As a result it is now recognised as an artistic and historic repository of the Jewish association with life in the City of Leeds. The seating capacity of the Shul is 450 for the Shabat, by means of mobile walls, this capacity can be expanded to 1100 for High Holy Days. 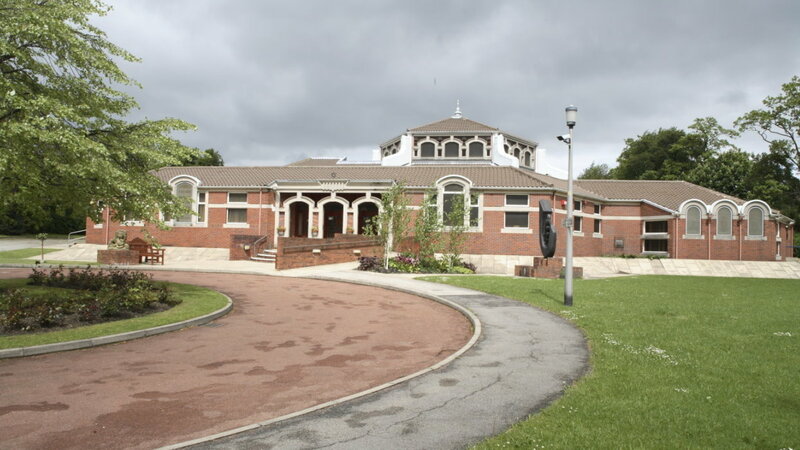 The structure includes a youth centre and children’s Shul, a Hall and a Kiddush. 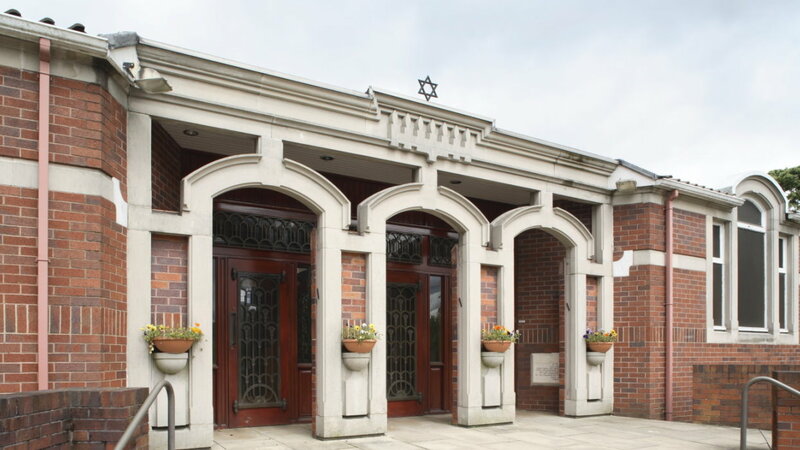 The Ark is a derivative of the design which graced the old ‘Great’ Synagogue in Merrion Street. 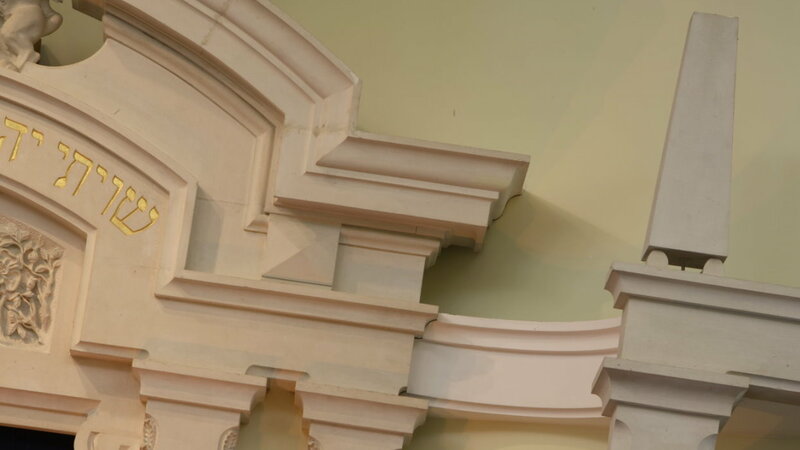 The New Ark is of lepine stone, beautifully carved by the sculptor Trevor Dring, of Bath. 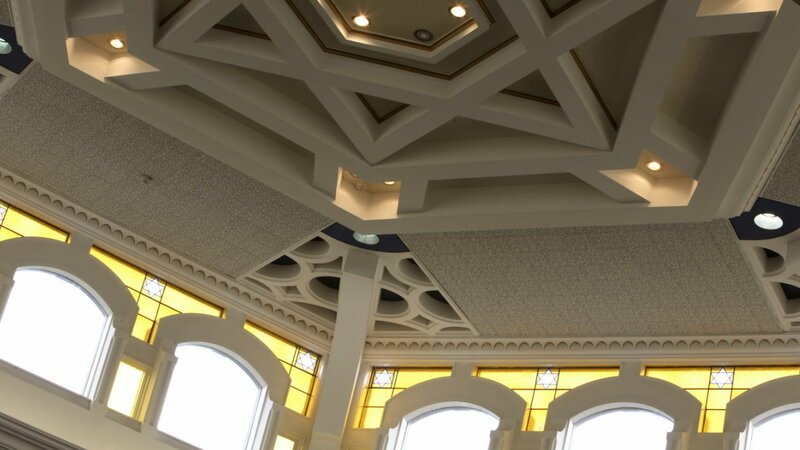 The Bima is mobile, and can be positioned to accommodate normal worship, weddings, funerals, and especially High Holy Days when the ‘centre of gravity’ of the congregation changes.